It’s tempting to neglect your car bodywork during the cold winter months – as fast as you clean it more dirt and grime splashes up onto the paintwork from wet roads – but in fact, now’s the best time of year to give your vehicle a good once over and get any minor bumps and scrapes repaired before they get any worse. Here are our two top tips for keeping your paintwork pristine this winter. It’s a good idea too to wash your car and wheels regularly during times when the gritters are out to minimise the risk of paintwork and wheels getting pitted or blemished by the salt and sand. 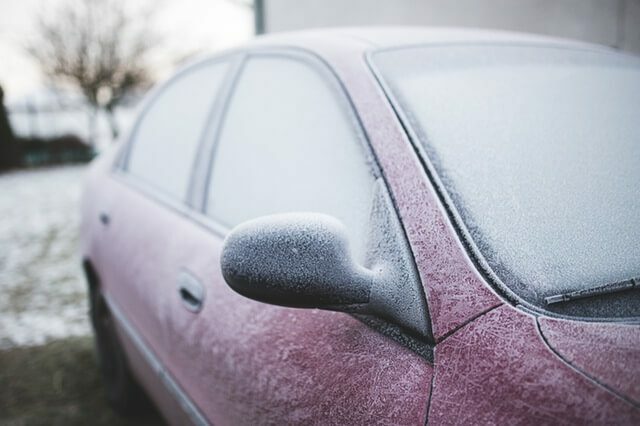 The chemicals used by local councils to make roads safer in icy conditions can find their way into damaged vehicle paintwork and speed up the rusting process. What may have started as a tiny scratch could become far more serious if it isn’t fixed promptly. An accredited smart repair technician can quickly fix scuffs and scrapes to car body work and alloy wheels. The average repair costs less than a weekly shop and can be carried out at a time and place to suit you without the hassle of having to take the vehicle to a bodyshop or losing your no claims bonus. All our technicians are trained to the highest industry standards and their work carries a lifetime ownership guarantee. To get a no obligation Quick Quote from your local technician click here.